M.I.A. headlines at South Island Field on Governor's Island. 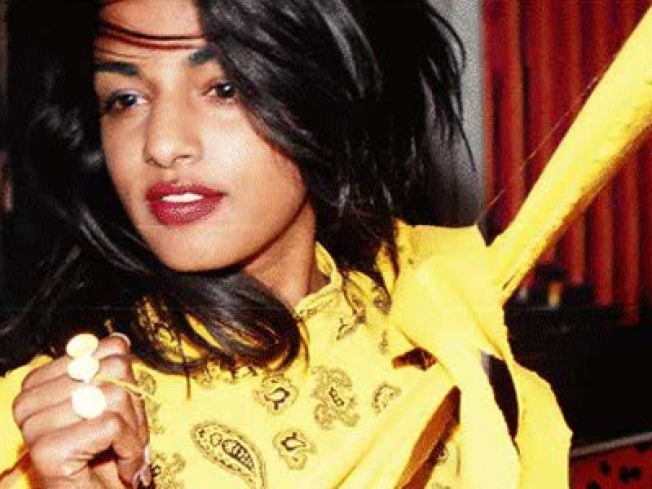 MISSING PERSON: Has any recent release been as fiercely lambasted as M.I.A.’s new album Maya? Girlfriend had lots to live up to, we suppose. Whatever you may think about her social commentary-laden streetish beats, you can’t deny seeing her live under the stars on Governor’s Island would be a good time. She’s at South Island Field (part of a busy lineup that includes Die Antwoord and Sleigh Bells) on Saturday; gates at 4, show at 5PM. COUNTRY TIME: Yeah, yeah, Bastille Day. What about Belgium? Celebrate all things Belge—fries, waffles, Django Reinhardt, Jean-Claude Van Damme—at the Belgian National Day Celebration, hosted by the Belgian-American Chamber of Commerce and Petite Abeille restaurants. Flemish rockers De Kreuners are on an all-Belge bill, plus there’ll be plenty of authentic eats and drinks on the pier at the Lightship Frying Pan. Sunday, 1PM. ‘NEW’ KIDS: The New Museum Block Party presents a daylong interactive festival of arty (yet family-friendly!) good times in SaraD.RooseveltPark. Highlights, in no particular order: beatboxing, three-dimensional doodles, Latvian puppets. Bonus: You’ll receive free passes to the museum for the day. Saturday, 12PM.